It’s dynamic, the connection you form when working with an inbound marketing consultant. Because the goal is big—you are forging a path to achieve something of broad importance to your organization—and the energy is high. The experience is actually a lot like participating in an improv sketch. And just as fun! Here’s how. Listen. Be in the moment. Everything in improv centers on being present: seeing, hearing and feeling what your teammates are doing and responding. You can’t be distracted by your thoughts, plans for what you want to do or how you want to control the scene. Sketch comedy is about flow. Listening is critical in inbound, to make sure the plan is clear and path is agreeable: you need to be united on who will be responsible on what task. Don’t self-sensor; it’s important to be free to discuss status and current challenges to overcome. Inbound touches on sales, marketing and customer service, so evaluate your entire landscape. Your consultant can help in areas outside of what is traditionally considered marketing activity. Remember that the process of inbound is giving up control, in a way. You attract prospects online by offering information that helps them make buying decisions. Let them approach you for quotes, trials and other closing vehicles. It’s the impossible, ridiculous situations the players find themselves in that make improv sketches so funny. These situations happen because the players say, “Yes, and…” to everything their teammate does and says. They agree with what they are presented with and add to it. Your inbound program isn’t meant to be ridiculous, but it is greatly enriched by the ideas that flow from both parties. Content is the means to attract potential customers/clients, so use your inbound consultant to develop—and execute—interesting content ideas, internal processes and strategies. Teamwork. What can we do as a team? Ain’t no mountain high enough when you get a little help from your friends. Which is why the more people playing in improv makes for more comedy. Funny just grows on a bigger scale when there are more people making the scene happen. With a good team, inbound works in the same way. Your internal sales, marketing and customer service departments can make great headway in achieving business goals when all are aligned online using blogs, social media, content offers and email nurturing to get there. Improv is broad, slapsticky—this type of comedy doesn’t work when it is timid. So the players take action in big ways: commit to the ridiculous idea, big gesture, loud delivery. It’s a snowball of these activities that draw in the crowd and add the suspense: what’s going to happen next? What’s the proverbial punchline? 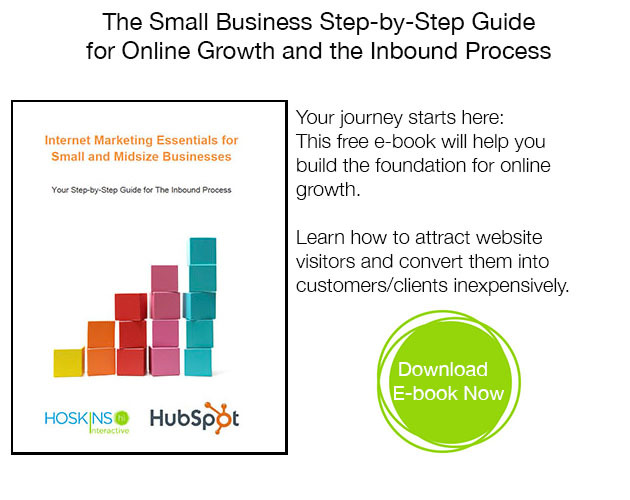 The nature of inbound is committing in a big way. It’s investing your time, energy, team, hope in the belief—and the evidence—that attracting prospects with information is the ideal way to turn them into customers. It’s different than the old way of doing things, where you push your message to them and persuade them to buy your product or service. Attract visitors: blogging, social media, search engine optimization. 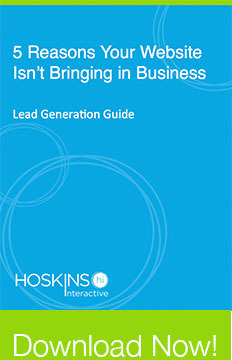 Convert leads: content offers landing pages, calls-to-action. Close sales: email, lead nurturing. Delight customers: social media, email, nurturing, smart calls to action. It doesn’t matter if you have a big staff or are a team of one. Commit to inbound in a big way (degree of activity and creativity) and you will yield a commensurate amount of business. Have fun. The joy has to be there somewhere. Everyone has fun in improv whether the sketch is a fail or success. There is always something to learn from teammates and the experience of working together to bring a silly idea to life. How you encourage others and reap the reward of a great bit is a boon for players and the audience. You know what’s fun for inbound consultants? Helping you make money! They get a surge of joy knowing that the inbound program is working and your business is thriving because of it. So although online channel activity takes hard work, find time to celebrate the milestones. The joy starts, I think, when you like who you’re doing business with. So make sure you get along with your inbound consultant. Our goal is to be trusted advisors to our clients. Make sure you choose one who is! Terra Hoskins wants to help small businesses grow—she’s experienced the power of inbound while managing marketing at a small company and seeks to share her knowledge as principal of inbound marketing agency, Hoskins Interactive. She tweets at @terrahoskins.